Offset mortgages are suitable for buyers with large, stable savings. The amount you have saved is subtracted from the amount you owe on the mortgage, and interest is calculated from this reduced sum. For example, if you have £150,000 in mortgage debt but £50,000 of savings, you would pay interest only on £100,000. Usually, you still make monthly repayments based on the full amount, which will mean that you pay down the loan more quickly than you would otherwise. Rates tend to be higher than on conventional mortgages, but for borrowers, with large savings balances, this can be cancelled out by the interest saved by offsetting. According to Which? The consumer group, in June the average offset mortgage rate was 2.67pc. The winner is only slightly higher than the average two-year fixed rate, which is currently around 2.36pc. The best rate currently offered by broker John Charcol is 1.79pc fixed for three years, from Accord Mortgages. This is available to borrowers with a 15pc deposit. Some lenders will require you to take out a linked savings account. Not all offset deals are the same. With Scottish Widows, for instance, borrowers have the option to reduce their monthly payments or pay down their mortgage more quickly. Based on an example of someone borrowing £200,000 over 25 years with £25,000 in a linked savings account, the lender said maintaining full monthly repayments could reduce the term by seven years. Also save £46,440 in interest, while paying a reduced amount each month, reflecting the lower interest bill, could save £23,673 in interest and remove the mortgage two years early. However, this is based on a high rate of 3.5pc for two years, reverting to 4pc after that. If a borrower manages to get an ordinary mortgage and pay a lower interest rate for the term, they might do better to do this, partly because at the same time they will also be able to earn interest on their savings. For example, someone who borrows £200,000 with an interest rate of 1.99pc and fees of £1,262, which is HSBC’s best-buy five-year fixed rate, would have monthly repayments of £852 and a total interest cost of £54,412 over 25 years. If they took out Scottish Widows’ five-year fix at 2.39pc with fees of £1,499, they would have slightly higher monthly repayments of £893 but a significantly lower total interest cost of £48,125 if they used the offset facility and had their £25,000 linked savings. However, this benefit would have to be weighed up against the interest they could have earned elsewhere on their savings. Sitting in a bank account paying 0.9pc – currently a good rate – it would make £6,139 over the 25 years, making the costs equal. 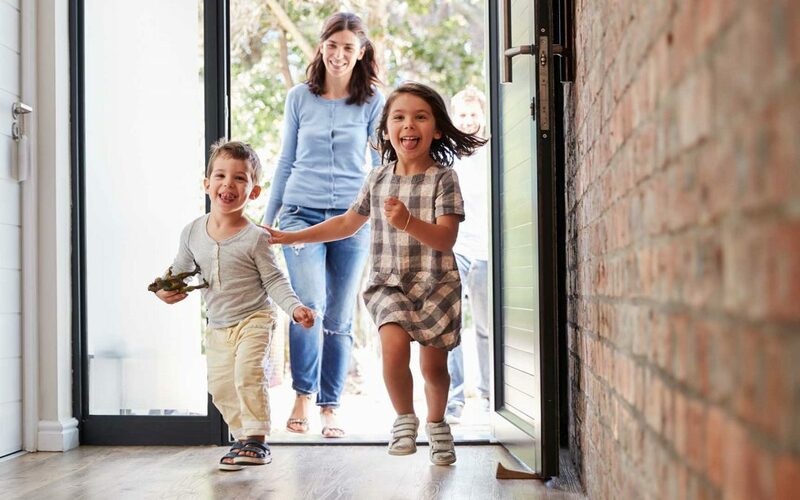 At the lowest rate currently available – HSBC’s 0.99pc, with fees of £1,499 – the straightforward mortgage is the winner, costing more than £20,000 less in interest and reducing monthly repayments by £150. Who does offsetting work for? It’s best for people with large savings balances who don’t mind earning interest. It can also be suitable for families, where parents or grandparents can use their savings to help a child keep their monthly repayments down. The mortgages are also suitable for people who receive large bonus payments, or who are self-employed and spend the year building up a pot of money to pay a tax bill. Andrew Montlake, of mortgage broker Coreco, said that as a test borrowers should check that they have at least 15 to 20pc of their mortgage in savings. Below this, the marginally higher rates mean it may not be worth it. Offsets can also be useful for higher and additional-rate taxpayers because you are effectively putting interest earned on your savings towards your mortgage tax-free. Since April this year savers have been able to earn a set level of interest before paying any tax on it. For basic-rate taxpayers, this is £1,000. However, additional-rate taxpayers have no personal savings allowance, and higher-rate taxpayers have only £500, which could be outstripped relatively quickly on a large savings balance. Rates tend to be higher than on other mortgages, by an average of around 0.2 percentage points, although compared with the best-buy fixed rates the gap may be more like 0.4 or 0.5 percentage points. Offsetting also means that your money won’t earn interest in the traditional way. The reduction of tax on cash savings, through the introduction of higher Isa allowances and the personal savings allowance, means there is less of a tax advantage to offsetting. There is less choice available in the offset market, so you might not be able to get terms that are entirely suitable – for example if you want the security of a fixed rate, this may be difficult.